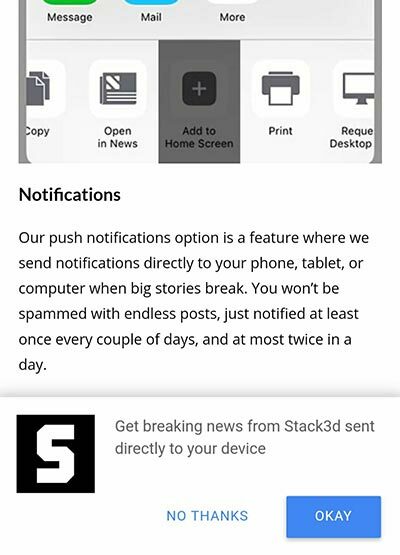 You can use Stack3d as a mobile application on both Android and iOS devices, as well as get breaking news notifications sent directly to your device. As you visit this page on an Android device in a Chrome browser, you should be prompted with an “ADD TO HOMESCREEN” option. If you select that, Stack3d will be added to your phone like every other mobile application, giving you nice and easy access to the website. If you don’t get the automatic, prompt you can alternatively select the “Add To Home Screen” option from your Chrome browser menu. 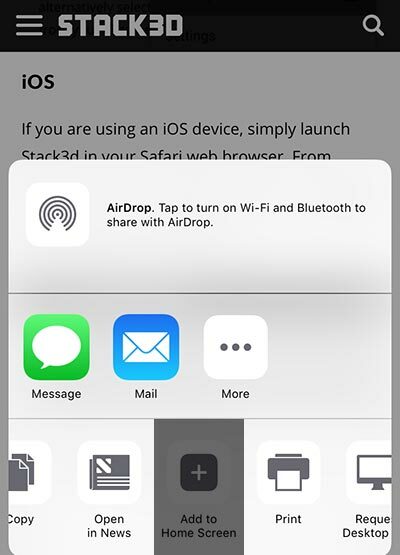 If you are using an iOS device, simply launch Stack3d in your Safari web browser. 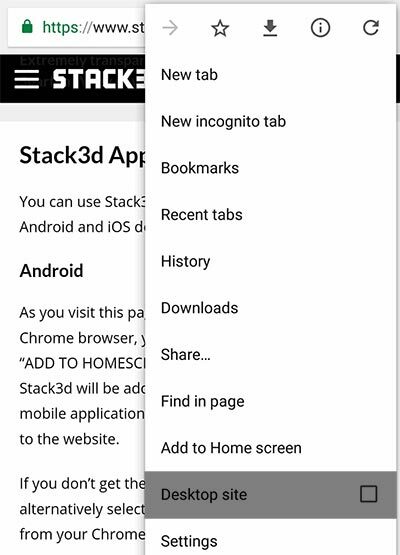 From there, open up the browser’s menu, then select the “Add To Home Screen” option, and Stack3d will be added to your phone. Our push notifications option is a feature where we send notifications directly to your phone, tablet, or computer when big stories break. You won’t be spammed with endless posts, just notified at least once every couple of days, and at most twice in a day. To receive notifications simply click “OKAY” in the prompt when you visit any page on stack3d.com. If you previously clicked do “NO THANKS” and would like to change that, you can do so by clearing your settings for this site. This feature is also only compatible with select browsers and devices.